Eminent neurologist and winemaker Ivan Donaldson DipWSET founded Pegasus Bay with his wife Christine in 1985. Here he reveals how he caught the wine bug and shares some of the wisdom he's learnt along the way. In 1966, my then girlfriend, now wife, Christine gave me Hugh Johnson’s first book, Wine. I read it and fell passionately in love with wine; not just the liquid itself but the whole concept of growing grapes, making wine and wine appreciation. Shortly after this, we began making wine. In 1971 we went to London to further my training in neurology and over the next several years we made extensive tours of Europe’s vinicultural regions, dragging along our ever-increasing family of boys in an old campervan. After returning to New Zealand in 1975, I fell in with a group of “nutters” who decided to plant vines in what would become Canterbury’s first vineyard of modern times. Because of my amateur winemaking experience, I became winemaker for this hobby vineyard and remained so for the next 12 years. We would decide what needed to be done and then she would put this into practice... I tended to dream and she was the “action woman”. At what point did you decide to focus on Pegasus Bay full time? It was after sabbatical leave with further tours of the European vineyards with our boys that we decided to become professional and start the Pegasus Bay Vineyard in North Canterbury’s Waipara Valley. It wasn’t until 2001 that I stopped practising medicine and moved full-time into wine. This transition was relatively easy because I had had so much experience in the world of wine earlier that I knew what I was taking on. Prior to this I had been going to the vineyard in the evenings and at weekends with Chris. We would decide what needed to be done and then she would put this into practice. Over this whole period, I tended to dream and she was the “action woman”. When we started getting fruit from Pegasus Bay Vineyard I had our garage in Christchurch registered as a winery and made the wine there until we could afford to build a proper winery on the vineyard property, which is 50 km from our home. Chris and I are still actively involved in the business, and we now have our four sons working with us at the vineyard and winery, all in different roles. How did your previous career contribute to your winemaking ability? I feel that there is a synergy between winemaking and medicine. I think that this stems from the fact that both are part craft and part science. A good academic background doesn’t make you a good practising doctor and having a winemaking degree doesn’t enable you to make good wine – you need both the knowledge and the craft. Surprisingly, I have found that many knowledgeable viticulturists and winemakers do not have good palates and most people who can appreciate and distinguish fine wine do not have the aptitude or skills to make it. 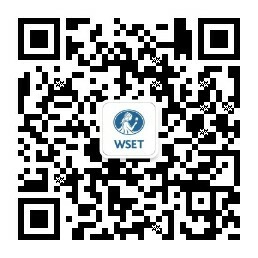 What made you decide to pursue the WSET Diploma, and how did it help to advance your winemaking? I did the Wine and Spirit Education Trust’s Diploma in Wine and Spirits in 1984 because I wanted to increase my knowledge about, and appreciation of, the wines of the world. It helped me with my winemaking, and indeed my career in the wine industry, by teaching me to evaluate my own wines in the context of international wines and not just judging them on what my next-door neighbour was making. What advice would you give to an aspiring winemaker? A lot of people have a romantic view about the wine business but the reality is that it is a lot of hard work and is capital intensive, so I think the most important piece of advice that I could give somebody intending to start a vineyard and make wine as a second career is to ease themselves and do it gently, not to give up their day job and not to get themselves into debt. On the other hand, if you want to get a job as a viticulturist or a winemaker working for somebody else then you need to get yourself properly trained by doing a recognised vinicultural or winemaking qualification and then gaining experience. And always judge wines you’ve made in a blind tasting and give them to others to evaluate in the same way. Listen to what they say - you tend to regard your wines like your children and although you may make allowances for their shortcomings, other people won’t!